Emirates is the largest airline in the Middle East, operating more than 3,600 flights to six continents a week from its hub at Dubai International Airport. The successful growth of the airline is synonymous with the incredible growth of Dubai and Godolphin. The growth of Emirates is an aviation phenomenon. Established in 1985 with two leased aircraft, Emirates Airline now boasts a fleet of more than 180 modern, wide-bodied aircraft, including the world’s largest fleet of Airbus A380s and Boeing 777s, and is one of Dubai’s great success stories. With routes to more than 140 destinations in 81 countries, Emirates’ success has been recognised with 500 international awards for excellence, and Godolphin is proud to be sponsored by them. 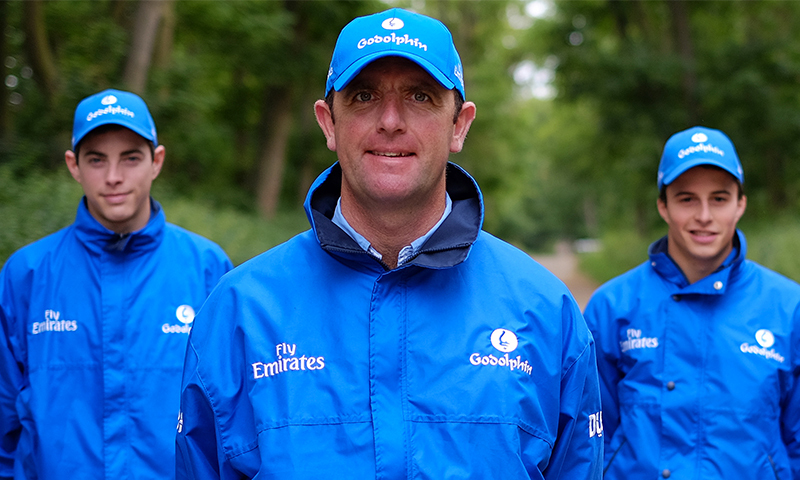 Wherever in the world Godolphin wins races, we share that success with Emirates and the City of Dubai. ‘Fly Emirates’ is proudly displayed on the famous royal blue silks and many Godolphin Champions have carried the airline’s name to victory on the racecourse. Emirates remains one of the biggest sponsors of world sport. Emirates sponsors an impressive portfolio of races across the globe including the world-renowned Dubai World Cup, along with football, cricket, rugby, golf, tennis, motorsports, Australian Rules football, plus arts and culture.